Needham continues, "Street team members (provided by New York-based Massivemedia) will provide giveaways that allow recipients to access a password-protected area of the microsite we've produced - where they can download a screensaver, instant messaging icons and a desktop background. Visitors can also learn more about the model and access other original content." Neat. 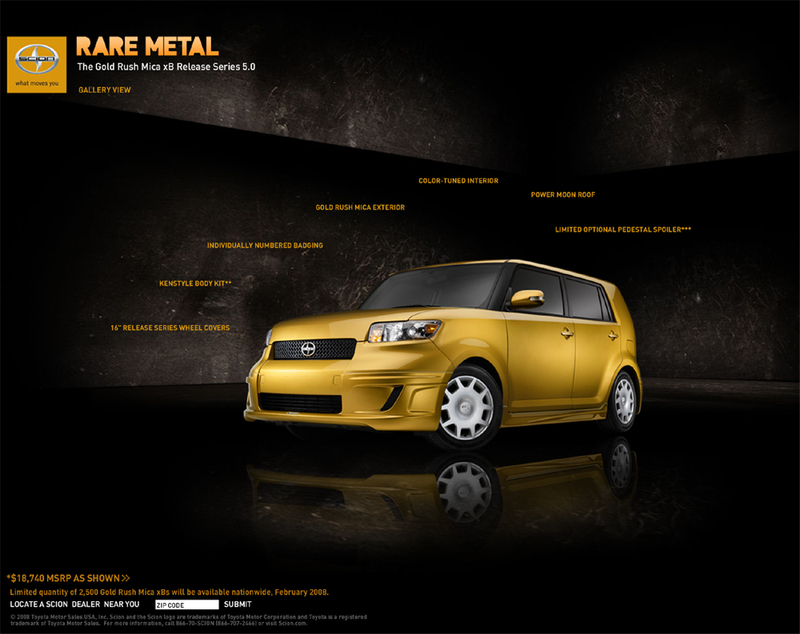 We all want a gold colored Scion xB Series 5, right? You can view all the campiagn elements here.